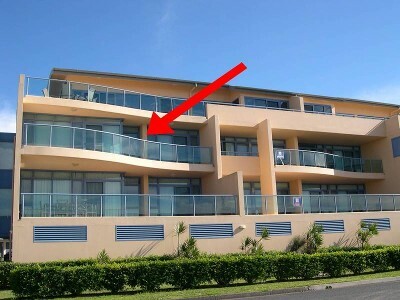 This is a true waterfront luxury apartment in a fabulous waterside location of Tuncurry. Featuring wonderful and unrestricted water views and an ultra convenient location. Boasting 3 large bedrooms and ensuite off the master bedroom. Spacious open plan living which is beautifully tiled includes a gourmet kitchen with modern appliances. Complete with 2 balconies overlooking Wallis Lake , full secured building with underground double lock up garage, A/C, spa bath, and a delightful inground pool in the complex. Enjoy your holiday in the sophisticated elegance that this building has to offer.